Nokia's forthcoming N97 Mini, which was tipped to launch on 23 October, now seems likely to be pushed back to November. The official site is stating that the device has a 'tentative release date' in November, meaning that those that have pre-ordered it will be waiting up to a month longer. However, Vodafone's N97 Mini landing page has removed the 'coming soon' tag, so perhaps November is as close as Monday morning. 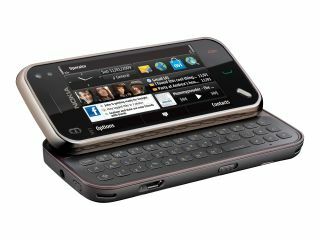 Either way, it's another mobile delay for Nokia, with the N900 recently also being pushed back for release beyond the expected launch at some point in October. The Nokia N97 Mini is a confusing device as well, given that it sheds a lot of functionality of the larger model, but doesn't come with a much lower price tag, making it hard to see whether customers would be willing to buy a phone simply because it's smaller. It will be using the updated version of the N97 software, which will also be coming to larger version, which brings a faster UI and elements like dynamic scrolling.